There are a million and one ways to improve productivity in the workplace with innovative technology solutions. With information technology as advanced as it is, there really is no going wrong at this point. Technology is advanced. So when it comes to integrating new technology into your workplace, you can be more selective. It’s important to hunt down the best technology solutions that not only improve productivity but improve your business overall. Here are a few suggestions to get you headed in the right direction. When you allow employees to customize how and when they work, you’re giving them the opportunity to be their most productive selves. They can pick and choose how they work best and maintain that “best” level of productivity. They aren’t forced to find workarounds for workplace-chosen technologies. But that’s not the only reason BYOD is good for business. Try cost-savings, mobility, and modern tools. With BYOD, the “business” doesn’t have to pay for on-the-go devices and gadgets (unless it wants to) — and it also doesn’t have to pay to maintain those tools. In this case, you can achieve greater productivity with little-to-no cost at all. On top of this, BYOD is all about mobility and modern tools. Employees can go wherever, with whatever device they have available — and typically, these devices are the most current smartphones, tablets, and laptops in the market. Mobility can make or break productivity in the workplace. Without mobility, you’ll struggle to take work outside the office; you’ll find it difficult to transition from one device to the next, and it’ll be near-impossible to go where your customers are. At this point, you’ll be forced to sit around and wait for clients and work to come to you — which is basically the least competitive you can be. But with mobile-friendly technology platforms like virtualization and cloud computing, things are different. Virtualization and cloud computing both promote concepts such as BYOD and both enable mobility to exist seamlessly. 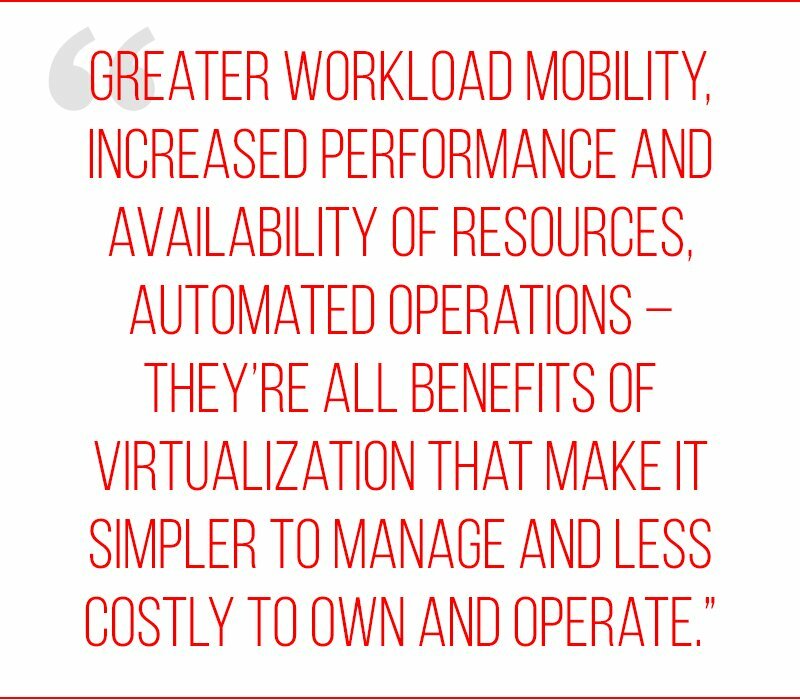 But again, mobility — and the productivity that stems from that mobility — aren’t the only benefits of virtualization and cloud computing. In this case, you can make use of available resources more effectively, reduce operating costs, increase application performance, access more modern tools, minimize IT management, and more. It’s a highly effective way to improve productivity — and basically everything else inside your infrastructure. If you’re going to talk about productivity and the best technology to help you find that productivity, then you can’t not talk about VoIP. VoIP is THE communication platform of the future because it’s an obvious next-step for companies. It’s like when people went from Blackberries to iPhones and Galaxies — there was no need to question the transition. It was going to happen, and no one was going to put up a fight. The same is true for VoIP. As businesses everywhere begin their transition to VoIP, there might be questions involved — but most people are accepting this change with open arms. VoIP is a big fan of mobility and anywhere-anytime productivity. It lets you transfer calls to any connected device, read voicemails from your inbox, integrate calls into your desktop, and a whole mess of other things. 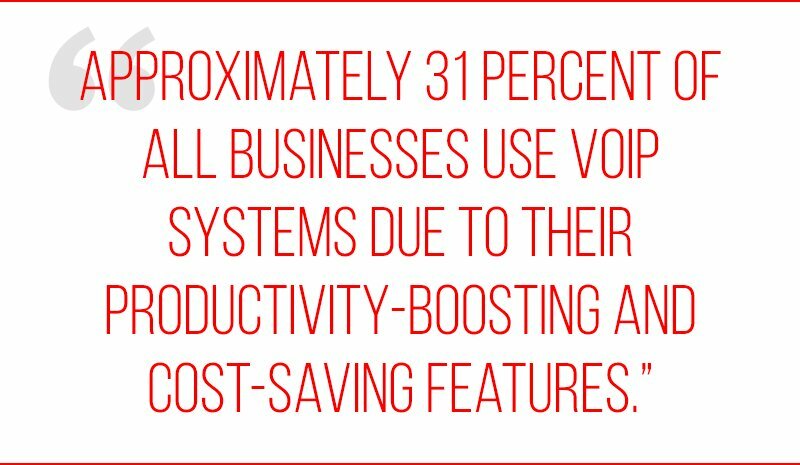 However, VoIP goes beyond that productivity to do things like make it easier to add or remove lines, eliminate the need for expensive maintenance and upkeep, and even reduce (or eliminate) long distance charges. It’s a smart way to scale your business, streamline processes, and improve your business as a whole. Of course, productivity and smarter technology in the workplace don’t begin and end with these three technology solutions. Take a look at 4 tech tips that will grow your business for more strategic insight into workplace growth and productivity.